I love the ColourVue Glamour lenses, I have tried the green ones, the aqua and the violet, they give great vivid colour and make my eyes pop! 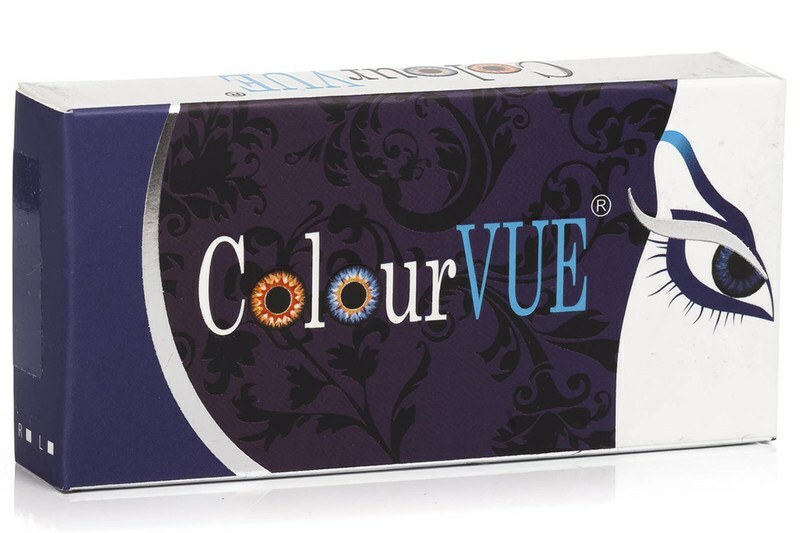 Use for occasional wear, very stunning colour , everyone commented on, it changes the whole eye colour, so great if you want a dramatic change. These were not very natural looking in the eye, and for my use, I wouldn't. Noose to order them again. I appreciate being able to order them to 'try' them however. I have had these lenses before, I have been wearing contact lenses for a number of years and these are by far the most comfortable lenses that I have worn. Also I have very dark eyes and these lenses look like a grey/blue on me, which gets me a lot of complements. Product excellent would buy again and recommend. Very good quality lenses, always last me 3 months and give me the look I want. Been using colourvue for a long time and recommend to others. ColourVUE Glamour (2 lenses) – dioptric. 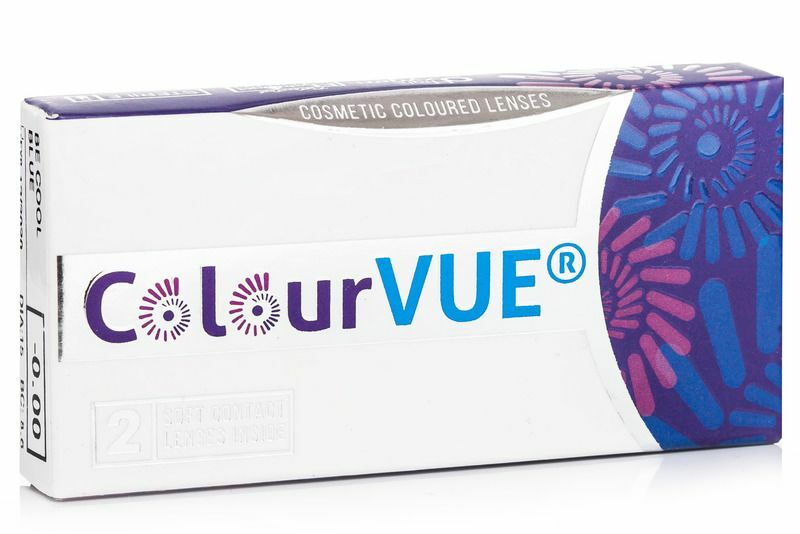 A contemporary range of opaque coloured lenses from ColourVUE that combines rich colours with a black ring to create the effect of bigger eyes. Patented technology provides excellent comfort throughout the day. Glamour lenses are partially influenced by natural eye colour and light conditions, and should be replaced every three months. I want a pair of contact lenses Colourvue Glamour green.Do you help me?Thank you! Are they daily? I don t understand. Hi, They can be used for up to 3 months. I hope my reply helped. Thank you so much for your comment. Could you please give me the order number? I have tried to find you with your email or name and it seems it is not in our system. Also my base curve is 8.50 and these are 8.60 and my diameter is 14.50 these are 14 will the even be ok for me ?? I would not recommend these lenses for you, if the don't fit perfectly with your base curve and diameter. Furthermore I believe that these lenses are not made of the same material as any Acuvue lens, so I would not recommend these lenses for you. In case you want these lenses, I recommend you to talk with an optician. If you have any further queries, please do not hesitate to contact us at info@lentiamo.co.uk or call us at 0800 249 4219.
hi.... so are these quarterly not monthly as I thought brilliant.. also... as u can only order 1 paid in specific power - if you have x 2 diff eyes you need to order x 2 pairs one in one power and the other in the different power.. but this results in you have x 2 pairs of quarterly lenses so can last up to 6mths.. can you advise if I don't open the 2nd pack can I use these in 3mths time or do they have an expiry date and have to be used before this date. Hello, That is correct. As you have different power on each eye, you can use these lenses for half a year. They can be used any time up to the expiry date. It's past the estimated delivery date, but I still haven't received my order. Every day this week I've checked my order status but it hasn't changed.Still says "pending"-"not in stock" since 20.01.2015.This is totally unacceptable!Now I need to use my expired contact lenses.I'm very disappointed with your service. Hello, We are very sorry for the delay. The contact lenses had to ordered from the manufacturer and they are expected in our stock in a week time. I have upgraded the delivery to 1st class and added a present to your order. Once again sincere apology for any inconvenience caused. I have ordered these lenses one month ago,but still haven't received them.I keep receiving e-mails which says that it will be on stock next week and after a week they sending me an other e-mail which says the same thing...I urgently need new lenses as my old ones are out of date. Hello, Please accept our sincere apology. There has been a great delay from the site of our external supplier. Therefore the delay. Your lenses should reach you next week. Hello, These are quarterly disposables lenses and can be used for up to three months. I simply adore ColourVUE Glamour series colors. They are bright and impressive. I have tried Aqua and now impatiently expect the Green ones. Hello, the lenses are the way to you. We hope you will find them as great as the other lenses. This product belongs among popular lenses in our range. Please note, that the change of depends on base colour of your eyes.